Les Lavandes is perfectly situated for exploring the many places to visit and things to do in the surrrounding area and you really are spoilt for choice! A large part of any French holiday is sampling the local produce and you won't be disappointed here with the region's much sort after fresh oysters and seafood, it's well-known goats cheeses and the local aperitif Pinneau des Charentes, a superb fortified wine made from grape juice and cognac - best served chilled - Enjoy! Many people come here for the beautiful beaches and again you won't be disappointed. All the beaches boast long stretches of unspoilt, golden soft sand, some sheltered such as La Palmyre, la Grande Cote and St Palais-sur-Mer ideal for young familities or the spectacular Cote Sauvage with its pounding Atlantic waves and 12 miles of coastline backed by sand dunes and pine forests watched over by La Coubre lighthouse. If you want to learn to surf there are plenty of surf schools where you can hire equipment and have lessons. All the beaches are backed by the manificent Foret de la Coubre where you can cycle between the different beaches on dedicated well-marked cycle tracks. If you what to rent bikes we have a company who will deliver bikes to the gite for you. There is a cycle route from Les Lavandes to La Palmyre and beaches on tracks through the marshes and forest (map provided). There are also bridle tracks through the forest and if you want to go horse riding choose one of the nearby riding schools. Centrally located between the beaches is the lovely seaside resort of La Palmyre with its famous zoo, one of the best in Europe which is home to more than 1600 animals and a really a wonderful day out, be sure to see the sea lion show! There are 18 hole and 9 hole golf courses nearby. Also in La Palmyre you can visit the Hippodrome to watch the horse racing. There is a twice weekly market, lovely restaurants, bars and marina along with a climbing adventure park in the forest. There are places nearby for go karting, quad bikes and paintball. 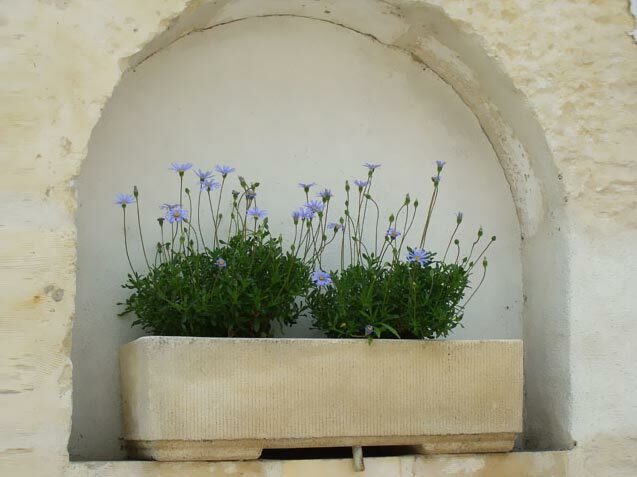 Les Lavandes is located near lovely little towns and villages such as Mornac and Talmont Sur Gironde which are described as “les plus beaux villages de France” with their pretty white washed houses and holly hocks. 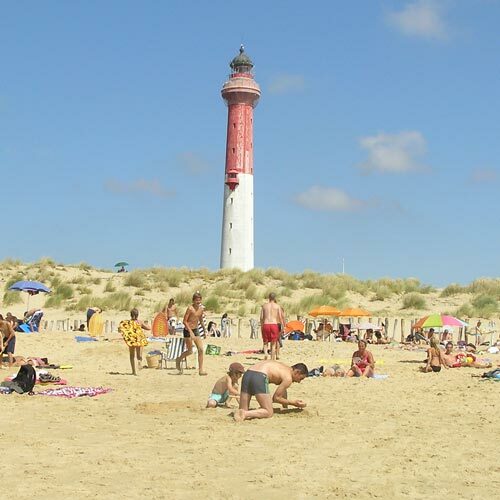 The islands of Lle'd'Aix (where Napoleon spent his last hours on French soil) and Fort Boyard an ancient maritime fort, can be visited by boat trip and you can also visit the lighthouse of Cordouan by boat which stands 66m high at the mouth of the Gironde Estuary. Île d’Oleron is France’s second largest island and is located just off the Cote Sauvage and is connected to the mainland by a bridge near Marennes. It has a varied landscape offering long sandy beaches, pines forests, sand dunes and salt marshes. For calmer beaches for families with young children head east to resorts such as St Trojan Les Bains or Boyardville in the north or for surfers the veaches of Vert Bois and L’Acheneau. Île d’Re is situated near La Rochelle and is reached by toll bridge. The island is surrounded with gently sloping sandy beaches and is covered by cycle tracks and this really is the most enjoyable way to see the island. The capital, St Martin de Re has a lovely harbour and shops and some great restaurants. There is much to see and do in La Rochelle, the capital of the Charente Maritime, with its many shops, marina and Old Port and famous Acquarium. Both are about an hour’s drive from Les Lavandes. A little further afield you can visit Cognac to tour the Brandy Houses and Saintes for its Roman architecture and amphitheatre remains. This is only a flavour of what’s on offer in the area. There is plenty of information and leaflets at the gîte to help you plan and enjoy your holiday.